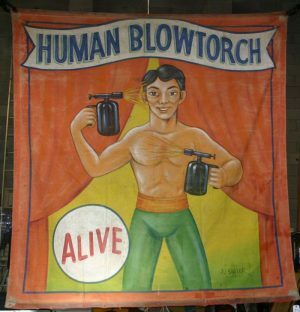 Antique canvas circus/carnival sideshow freak Human Blowtorch banner in as found condition. Signed Sigler, measuring 90″(7 1/2′) x 94″(8′) showing some slight damage and repairs because of age. 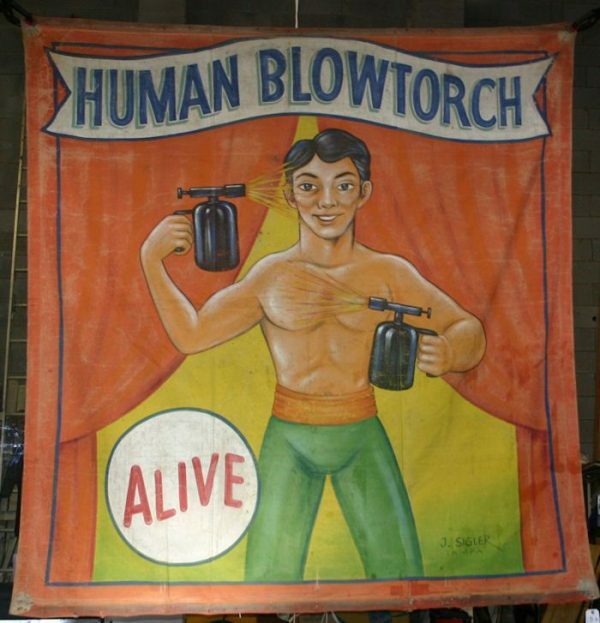 No hanging rings.